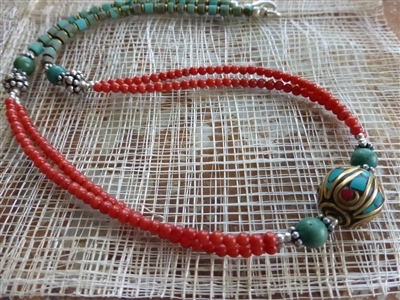 This is a beautiful, traditional Tibetan necklace made of lapis, coral and turquoise beads with an inlaid silver, lapis, turquoise focal piece. 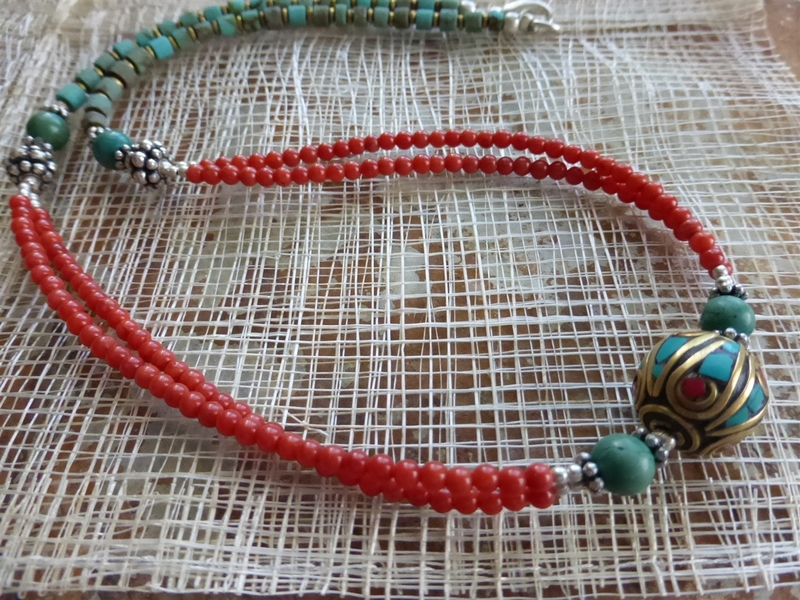 and is 17" in length. 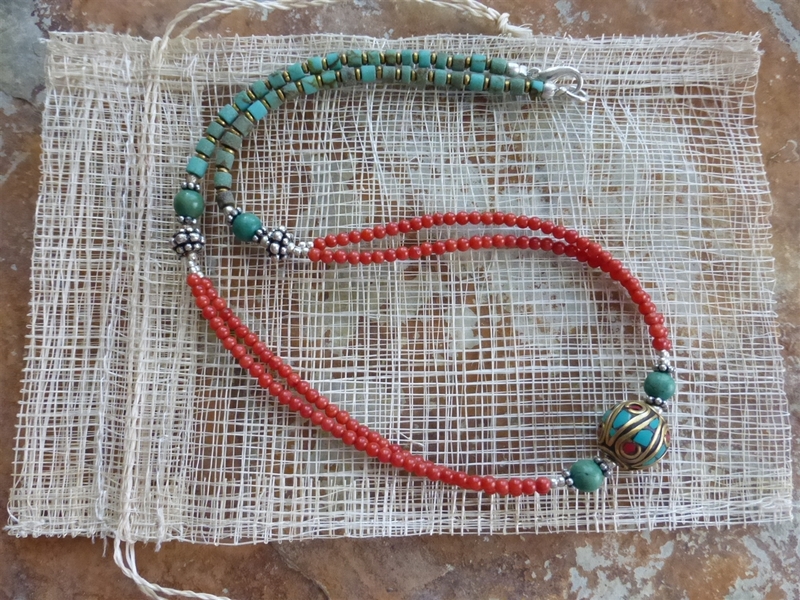 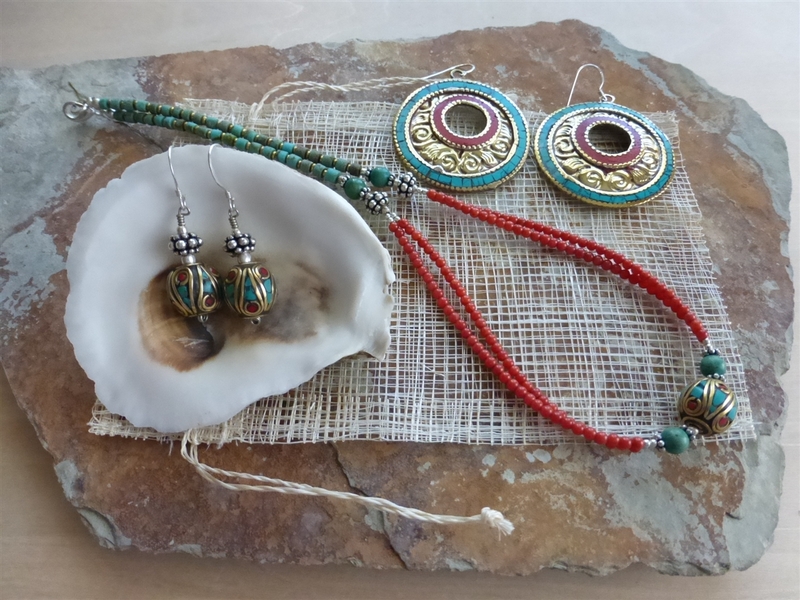 This is a Fair Trade necklace, handmade in Nepal.